It’s October 15th: Pregnancy and Infant Loss Remembrance Day. On July 9th, 2011, as you know, our Sebastian was stillborn at 35.5 weeks’ gestation. I have learned things, since then, about mothering an invisible child. Although I don’t presume to speak for other babylost parents here, some will relate. It gets easier. Functioning day-to-day, compartmentalizing to get things done, packing away anguish for later – all that gets easier, gradually. They’re habits formed of necessity. It also gets harder. Since Sebastian died, every day that passes takes me further from him. It’s agonizing, feeling so distant, trying to really remember his face (since our photos didn’t truly capture him). The older my living children grow, the more his infant existence seems out-of-context, and the more difficult it is to mention Sebastian in conversation – even though I yearn to acknowledge him. The pain is the same. Underneath the coping habits, when I unpack it, the sorrow is the same sorrow it was three years ago, the loss the same loss, the love the same love. That’s what people mean when they say you never “get over” losing a child: they’ll always be your child, and they’ll never not be gone. That truth just hurts – and it rears up unexpectedly. The awkwardness still exists. I sadly confess, I am no better at answering that awful question, “How many children do you have?” People meet me with my toddler, and I still talk around it: “I also have a five-year-old at home.” I can’t make myself add “and a baby in my heart,” even though I always think it, and mourn. The club exists.There is an immediate kinship between bereaved parents. I’ve felt it with many who have lost children of any age, whether through miscarriage, disease, accident, or suicide. It’s not a happy club… and yet there is comfort in it. I always know how old he’d be. Right now, he’d be three-and-a-quarter. There’s always a pang when I see the children of my pregnancy buddies – kids “his” age. Thank goodness, they are beautiful and healthy. I wish Sebastian could play with them. Different versions of my family exist in my mind. I relate to your family with two close sons. We envisioned, almost were, that family. I relate, too, to the family with two boys and a little girl: that’s the family we are in my heart. Grieving is different for everyone. I mentioned that Sean and I had a heart-to-heart last Sebastian Day, arising from my loneliness in grief. It was an important talk, one we both needed, revealing that neither of us is alone – we just grieve very differently. We must remember each other’s grief, even if we can’t see it, so we can still support each other. It’s tricky to grieve an unknown sibling. Sometimes, E mentions Sebastian casually, without sadness. But as he grows, he understands his own loss more – the unfairness of having a brother he never met. Sometimes, when he’s feeling fragile, he cries. He adores his sister, but does wish we could’ve kept that brother. Your babies are your babies, no matter how small. Sebastian changed my life dramatically, but I’ll never forget my first loss: an appleseed-sized person whose heartbeat stopped on May 28th, 2008. That tiny life will always matter to me, as part of my family and my remembrance. The same things hurt.When friends, even close ones, accidentally forget or negate Sebastian’s existence, I understand… but it still hurts. I know that, having birthed him, I have the unique inability not to count him as one of my children. The same things heal. When someone mentions him – by name, especially – that acknowledgement is profoundly important to me. Bringing him up doesn’t “remind” me; he’s always in my thoughts anyway. It helps to know that Sean and I aren’t alone in grieving him. I recently discovered that my sister-in-law has a Sebastian tattoo, and really appreciated the reminder: he’s in many hearts besides ours. 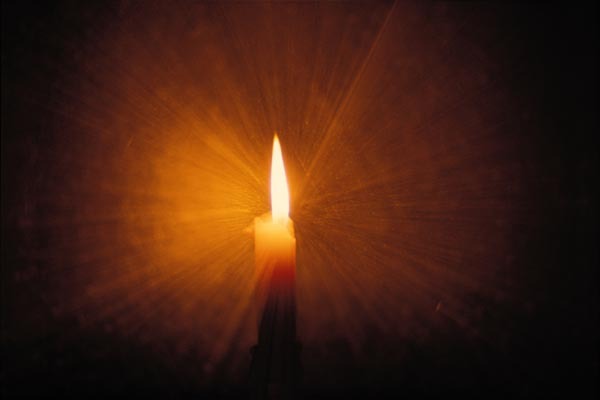 If you are able, tonight at 7 pm, please consider lighting a candle in your window for this Remembrance Day Wave Of Light. You never know when that small flame will comfort someone in need. This is lovely, Diana. I know that Sebastian will always be with you, but he will always be a newly-born infant, and cannot keep up with his siblings. He has the same place in your heart, though, and one of the most beautiful ways your grief transformed itself into beauty is your lullaby for all your children. I always felt that “club” was not for me, since I got to have a baby. But the lost twin is always a part of my life, too, though I never saw her face or held her, and her name has rarely been spoken. At the time, so many people treated me as if I should “get over it”, even people very close to me from whom I might have expected a different response, that I learned not to speak of her at all. As if she were my private imaginary child. Thank you for this. I will light a candle tonight for her and for my lost older brother as well. Oh, Auntie, of course the “club” is for you – whether you want it or not… How could you be expected not to grieve your child? She was half of a pair, but still a whole child. I think things are gradually changing, and that someone going through the same loss now would not, at least by most people, be expected to just get over it. What a beautiful, mysterious baby she must have been. A lovely, sad post, Di. It is hard to hear that he sometimes feels like a secret or a lonely grief, even though he is not, and what you say about him and how he is always with you is an important reminder that many people carry these losses in their hearts every day and night. I will light a candle tonight. I think of your lost little brother often, and your own tiny ones, and your niece. That’s a beautiful photo. Thanks for letting your tree be part of all this. And of course the candle (a very special one a friend sent me from England, saved for special occasions) which I lit tonight was for Sebastian as well (I guess I thought that went without saying). And as Bevie says, for all the other appleseeds (I had one of those, too) and larger and smaller little angel babies known to me — and unknown — and unshared. The hard part was blowing the candle out. Even the littlest appleseed held unbounded hope for its parent(s) and was a magical storehouse of possibilities. And impossibility. Thanks for all these thoughts. Oh my gosh, Di, I just read this now – just finished teaching and didn’t see this in time to light a candle at 7 pm before my lessons. I will light one now, though. And it’s good that I didn’t see this just before my lessons because now I am crying! For you and Sebastian, and everyone. I think it’s great that that mom mentioned her 4-and-10-year-old daughter. I notice these things when they happen (and have ever since Alexander died) and they come up more often than one would think based on how seldom they’re mentioned in the media maybe… though in tv dramas it’s a lot more likely! And it’s good to know those children are being remembered and loved, and don’t have to be always hidden away. You’re so right, Emi – you never know what the people around you have experienced unless it happens to be mentioned. It makes me think that most people are deeper and more interesting than we assume (when I’m feeling optimistic 🙂 .) I love you, and so do the babies.